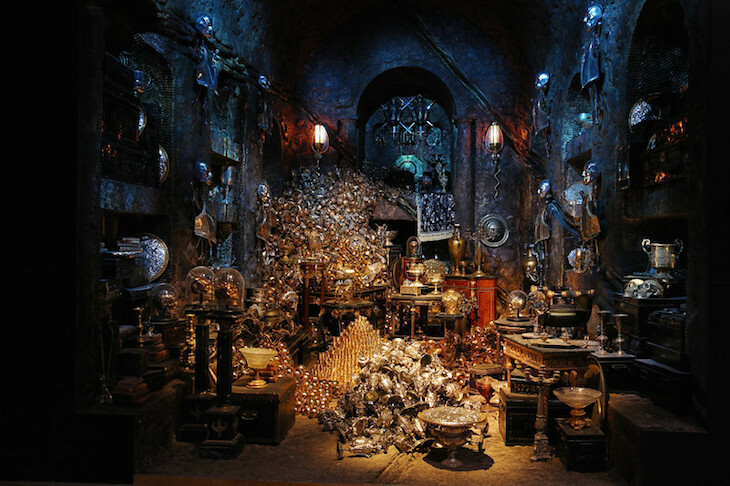 Gringotts Wizarding Bank — the glittering repository from Harry Potter's magical world — has been unveiled at Warner Bros Studios in Leavesden. 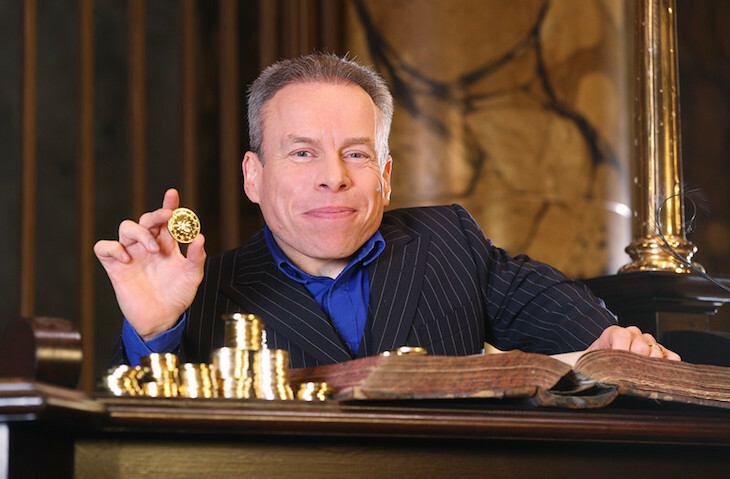 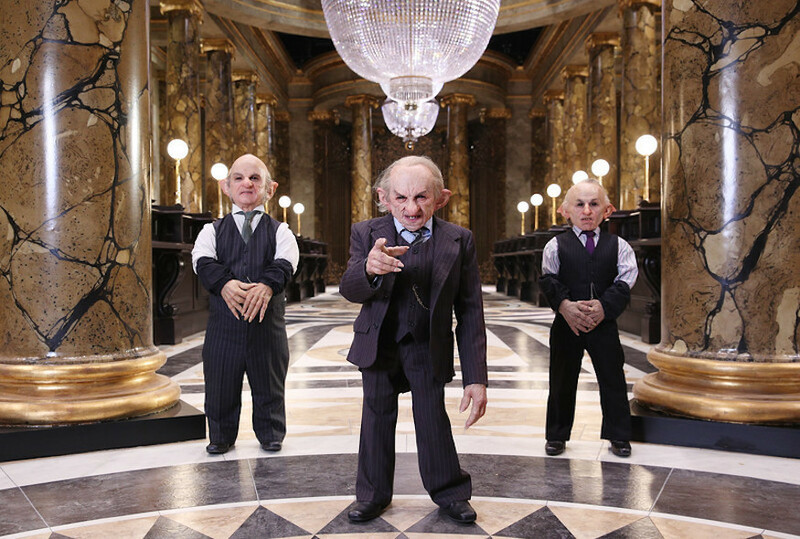 The London(ish) branch of the bank was announced earlier this year, and has now been revealed by actors Warwick Davis and James and Oliver Phelps who played Griphook, Filius Flitwick, and Fred and George Weasley in the films. 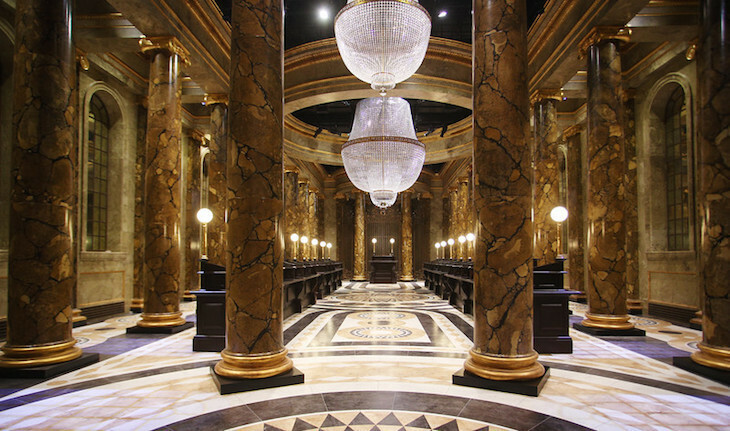 The first photos show a lavish banking hall, complete with towering marble columns adorned with brass leaf, three huge crystal chandeliers, and piles of galleons, sickles and knuts — clearly the recession didn't hit the wizarding community as hard as it did us muggles. 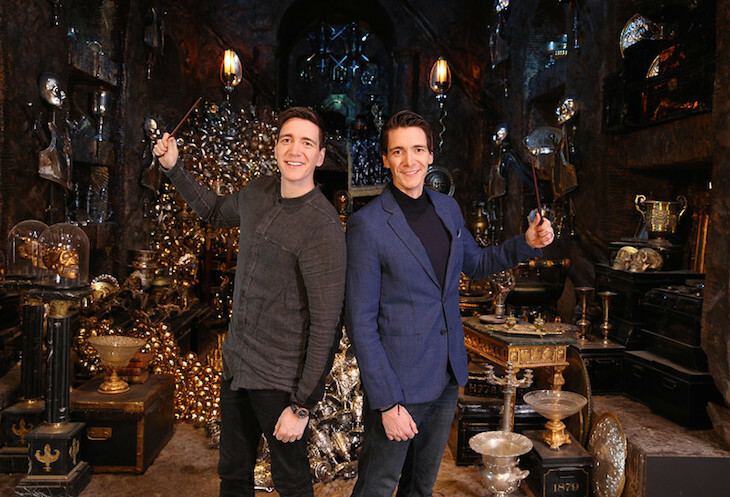 Beyond the banking hall, the Lestrange Vault — where the Sword of Gryffindor is stored — is also opens to visitors, offering a blingtastic selfie opportunity surrounded by the Lestrange family's treasures. 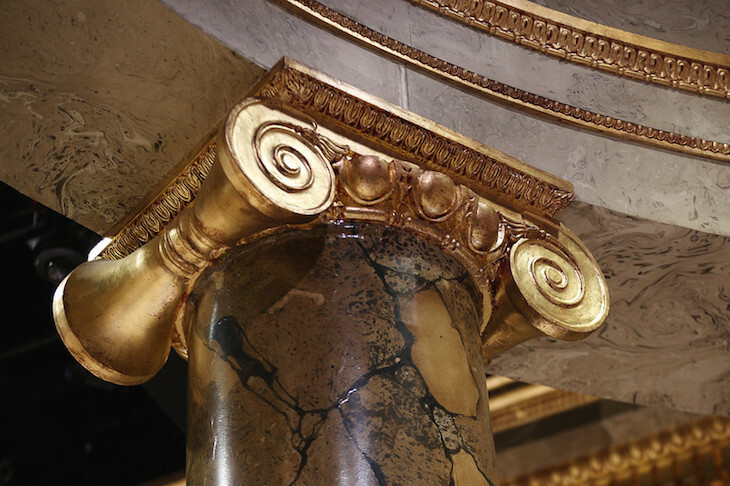 The banking hall is the biggest expansion the Warner Bros Studio Tour since it first opened in 2012, and includes a new lobby and cafe. 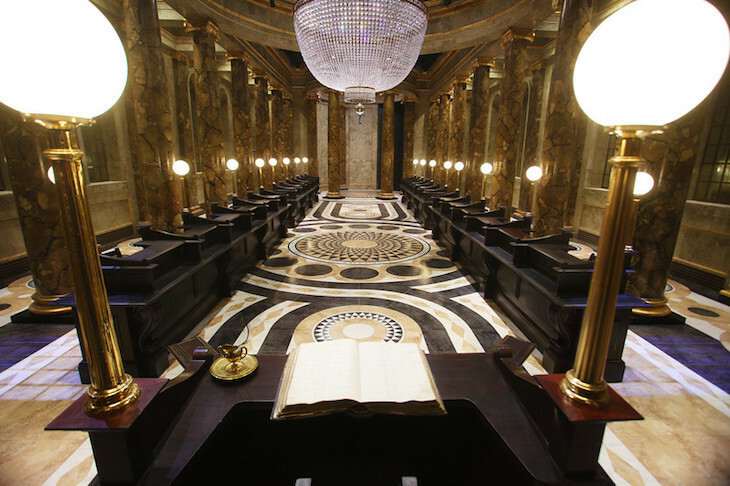 Gringotts at Warner Bros Studios opens to the public on 6 April 2019, and is included in the Studio Tour from this date.